Reading fluency and practice can be fun with a great theme. 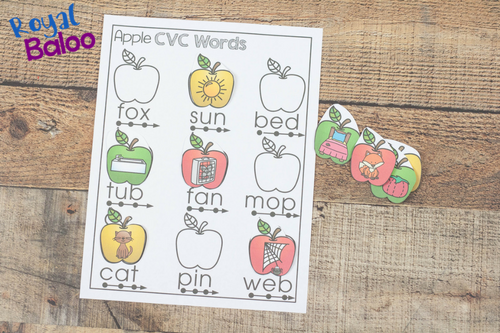 These apple themed CVC words are great for practicing reading with a fun, hands on approach.I love watching kids learn to read but there is no doubt that teaching a child to read can be frustrating. After they develop the understanding of how to read, they need practice. Practice, practice, and practice! We’re working on more hands on and fun ways to practice reading to improve that reading fluency. Yes, it is still apple week! We are on day 2. 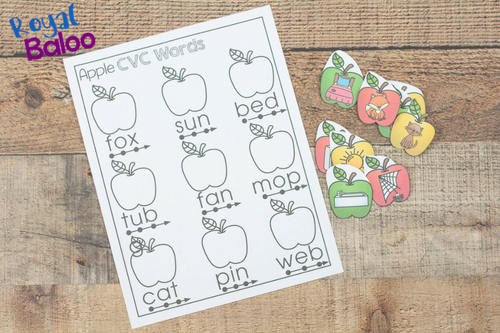 Make sure to check out Cassie’s Apple Printables and Deidre’s Apple Printables! Just cut out either the colored apples or the black and white apples with pictures. The last page is the matching page! There isn’t much prep involved with this activity. 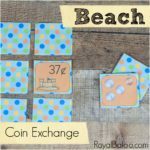 It’s fairly simple prep and a pretty simple activity! 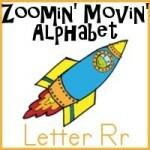 I wanted to make sure Logi-Bear was not just reading the word, but understanding what he was reading. So I wanted an activity that would require him to read the word first. The first step in this activity is to read the word. 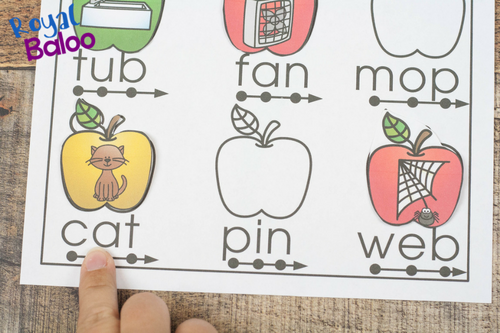 There are dots and arrows under each word to help guide them while they are sounding out the words. They can start with any word on the page. 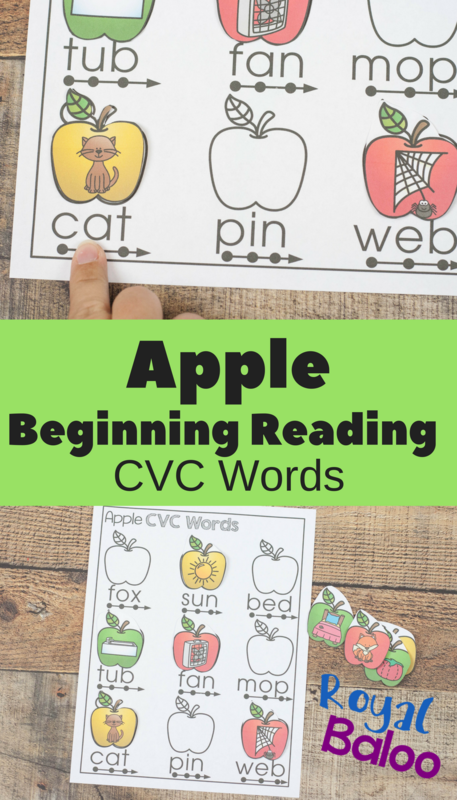 Just sound out the word, identify what they are reading, and find the matching apple! Then move the apple to the apple above the word. 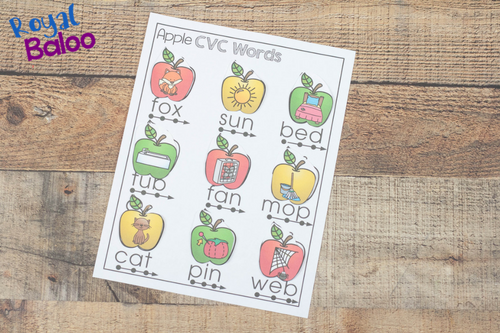 There are 9 words on this page from all of the short letter vowel sounds and a good variety of easy CVC Words. 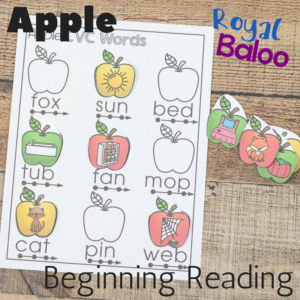 Early readers should have a fairly easy time reading them but the practice will be worth it! After all, practice makes progress.